It’s been a month now. A month since my life changed for the better. A month since I realized that being down, doesn’t necessarily mean being out. In April, I wrote an article that talked about the way my career and personal life had come crashing down around me. 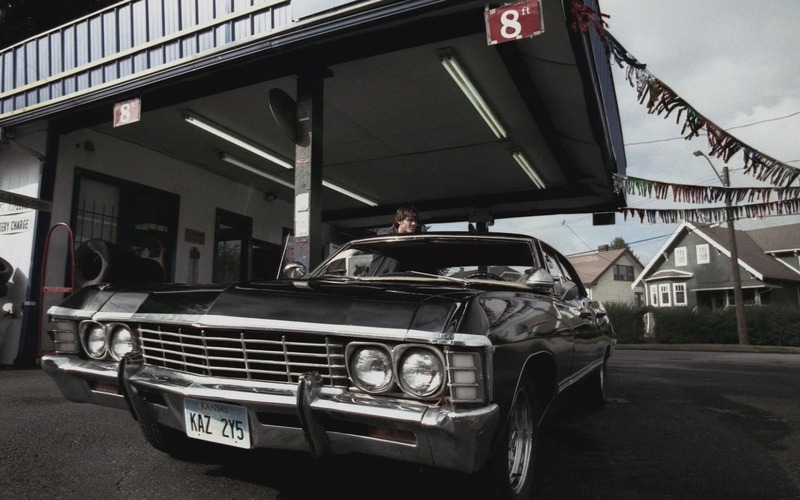 In that article (Seger, Supernatural, and Being a Beautiful Loser), I referenced the song Beautiful Loser by Bob Seger, and the episode of Supernatural (Season 6, Episode 1) where Dean Winchester tried to leave the life of demon-hunting, and settle down to live a normal life with the woman that he loved, and her son. I picked that particular song and episode because I could relate to the way Dean had left the life he was truly meant for (being a hunter), in order to try and live like the average joe that deep down, he knew he wasn’t. At the time of writing that article, I felt just as lost and bewildered as Dean. Life was going badly; my writing career looked over, and I had seriously considered abandoning my God-given talent of writing. I was ready to leave the world of writing, and ready to pursue a more ‘normal’ or ‘realistic’ career. To be succinct, I had pretty much begun to tap out to the chokehold that life had put me in. But then something wonderful happened. After writing and releasing that article, I began to get messages from the fans of Supernatural, aka the SPN family. I knew that Supernatural had a great fanbase (heck, I’m PART of that fanbase), but what I didn’t know — what I wasn’t prepared for — was how supportive the SPN family are toward each other. Many shows have large fanbases, that’s nothing out of the ordinary. But, what’s special about the SPN fans is that they behave and conduct themselves like a large and very supportive family unit. From the day I released my article, and even to this day, I’ve been inundated with Tweets, and emails of support, from many of the SPN family members. That support lifted (continues to uplift) my spirit. Which is the reason why I’m writing this article now. I wanted to give back, and to say a BIG THANK YOU to every SPN fan that took the time and effort to reach out to me! Your support carried me, and it reconnected me with my drive and ambition. Your support was a key factor in why I didn’t abandon my writing career. And your support was instrumental in me deciding to push, fight, stay consistent, and do whatever it took, to succeed. And now, as I write this article, it’s been nearly two months since I’ve turned my life around and signed a deal with Marvel to work on the script for an upcoming film! So again, Thank You. You guys Rock! Supernatural may be an entertaining show, but it’s way more than that. It’s like a manual on how to live. In every episode we see Dean and Sam Winchester battling demons, and other supernatural forces. Yes, the Winchesters are skilled hunters. Yes, they know the odd spell or two, and are up to speed with demon lore. But their foes always posses more power than our two heroes; powers that make the odds seem insurmountable. Yet, despite having the deck always stacked against them, Dean and Sam always find a way to win. How? Well it’s simple, they tap into the one thing that we all have, but don’t fully utilize – our will. The Winchesters use their will like a hammer, one that consistently strikes against a seemingly unbreakable rock (enemy). At first, the rock looks impervious. But like with any rock – with time and pressure – it eventually give ways to the relentless consistency that the brothers display, and cracks in two. Even Crowley (The King of Hell) panicked when Castiel suggested that the Winchesters were nothing to worry about. Crowley’s comment is a testament to the will that the Winchester’s both display and use, to defeat enemies. Enemies that are technically out of their league. All this talk of will and strength is great. But, I hope you realize that Crowley could easily have been also talking about YOU. Why? Because this COULD be you. You could be the relentless hero of your own life, if only you were willing to put in the work. Think of it this way — lets say the demons in the show, represent your own fears. And the angels, can stand for hope. Most people, when trying to achieve a goal, give into their fears (demons), and quit. Conversely, they may rely too much on being rescued by outside forces, and wait – inactively – to be found by hope (angels). This is where Sam and Dean differ in their approach. Instead of being deterred by obstacles, or relying solely on help – they instead choose to rely on themselves to get things done. They might occasionally seek outside help, but it’s always a last resort. Their FIRST choice – when faced with a problem – is to look inward and to access their own will, and use their own self belief. Do they stumble along the way? Of course they do. Do they give up? Never. That’s how they win their battles, by never giving up. And that’s how YOU can win yours too. I did it. I stopped waiting for help, and instead BECAME my own help. I looked inward, and believed in myself. This self belief then overflowed into my actions, and it drove me forward at breakneck speed, and now I’m writing for Marvel. I’m serious. Why don’t you do it? Why don’t you just pick a goal, and head for it like a juggernaut – smashing every fear and doubt that dares to stand between you and your desired destination. Why don’t you do justice to Supernatural? Don’t just watch the show, but also USE it to inspire you. Let Sam and Deans journeys be more than entertainment; let the brothers be like a spark of inspiration, one that becomes a raging fire of passion. A passion that you can then use to propel yourself toward achieving your own hearts desire. Is the path going to be easy? Of course not. You’ll encounter obstacles, fears, and doubts (demons), and I guarantee that you’ll want to quit. BUT DON’T. Stay focused on the prize. Be willing to push yourself through/ beyond your comfort zones. Be willing to do whatever it takes to claw your way to achievement. If you can do that, if you can keep going forward, like our heroes Sam and Dean — I promise you, success will become an inevitability, as opposed to the dream that now is for you. Once again, I would like to say a heartfelt THANK YOU to every member of the SPN family that took the time to reach out to me. If it wasn’t for you all, I wouldn’t be working with Marvel right now. You helped me to dream without limits, and I’m confident that you’ll use my experiences to go out and achieve your own goals too.